I can’t imagine it is all that much fun being a pretty good songwriter in a band that also has a really great songwriter. A great songwriter who also happens to be your older brother, who you have a somewhat contentious relationship with. Dave Davies lived that life for many years, although frankly a lot of his troubles have been a bit self-inflicted, as Dave seems to have issues getting along with some folks beyond big brother Ray. 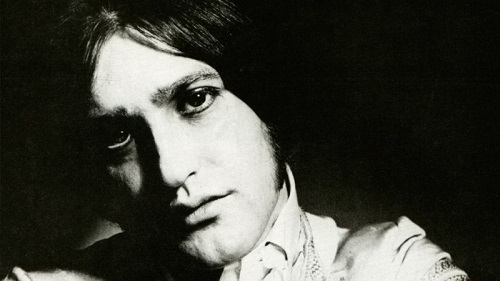 Dave Davies was born in 1947 and was the last of eight children. Six big sisters and his brother Ray who was four years older. Throughout his childhood Dave often played in their family front room with his older brother and Ray’s close friend Pete Quaife. It was in this very front room in which teenage Dave decided to use a razor blade to split the speaker cone on his Elpico amplifier and run it through his larger Vox. Regardless of what you think of Dave’s contributions to the Kinks as opposed to big brother Ray it was Dave, and Dave alone, who created the distorted power chord that became a signature of the early Kinks that launched them into stardom. It was also in their family front room that the brothers also worked through the riffs and song that became 1964’s You Really Got Me. Mick Avory joining the band around this time also had a pretty significant effect on Dave’s story. On stage, fights as early as 1965, although Avory has claimed that was set up, to being roommates in the mid 1960s, to the eventual final fights that wound up with Avory leaving the band in the mid 1980s. So whether he was at fault or not, Dave Davies spent some 25 years or so in a band that he often felt fairly alienated in. I’m going to sway a little from the accepted practice in this piece and include not only my favorite solo works of Dave, but more than a few Kinks numbers as well. Dave’s first credit was as the co-writer of Got My Feet On The Ground from the Kinks second album, so although he wasn’t as prolific as Ray he certainly had an interest in crafting his own songs. I Am Free from the Kinks third album was his first solo credit and would be on my list if, like Spinal Tap, ours goes to eleven. It’s a bit slower than you would expect from someone whose reputation is based more in his guitar playing than his songwriting, but it progresses nicely though a good set of lyrics. Especially from someone who was 18 when the song came out. There is what passes for a guitar solo near the halfway point but again it’s a bit lower key than you’d expect. Also, the song is described on the album jacket as “Dave moans on his own” which started a trend of Dave’s efforts being disparaged a bit within the group. Something Ray has lamented doing in his later years. Specifically, Ray has said he wished he hadn’t introduced him on stage as Dave “Death of a Clown” Davies in a somewhat mocking tone for years. The album Something Else in 1967 was a bit of a turning point for the band, and Dave, in numerous ways. It was the second of their albums in which they moved away from the R&B band in the early/mid 1960s to the more reflective band they became. It was co-produced by Shel Talmy and Ray Davies and was the last time someone else really had a hand in producing other than Ray. And Dave really came into his own with three songs on the album, one which became his biggest hit. And as good as Funny Face is Death Of A Clown and Love Me Till The Sun Shines are significantly better. Love Me Till The Sun Shines is a simple song, great bass and repetitive lines much like a traditional blues piece. But the cynicism hid by the almost cheerful singing of the song is so much fun, and is a Davies signature. Whether it be Dave or Ray. Death Of A Clown came from the same place as so many of Ray’s songs; the moment you have to ask yourself “What are we doing to ourselves” as a pop star. Dave said he went to his mother’s house the very night he asked himself that question and worked the song out on his mother’s piano, the same piano that produced so many early hits. Ray added the 5-bar La La La part and Nicky Hopkins played that cool intro using finger picks on the strings of his piano. The song was a hit and prompted Dave to seriously consider a solo career, something he didn’t attempt until 1980. Dave quickly released a follow up single called Susannah’s Still Alive that cracked the top 20 in the UK. Why after two top 20 singles he didn’t attempt a solo career I’m not really sure, especially as it was, as I said, seriously considered. Perhaps it’s good he didn’t though as his next two singles didn’t chart, although Hold My Hand makes my list of favorite Dave tunes as well. So for my money three of his four singles released 1967-1969 were as very good as late 60s pop goes; it’s really a shame he didn’t try a solo career at that point as it might have been pretty interesting and fruitful. In the following years the Kinks albums downplayed Dave’s guitar, as solos didn’t quite fit in to what they were doing as a group. 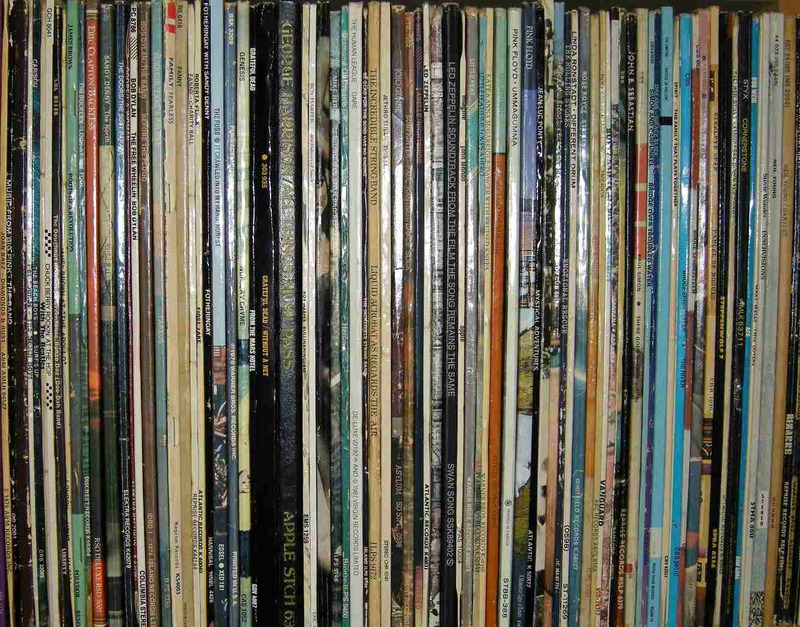 And Dave didn’t place many songs on the albums either. Who knows what he might have accomplished if he had been writing songs to release on a regular basis. Strangers is a melancholy song, and one of my favorite Kinks numbers. According to Dave it’s about an old friend who died of a drug overdose. A friend who Dave had imagined ‘making it’ with early on instead of being in his big brother’s band with his older friends. Whether it is about that or not, both brothers have an incredible gift at self-mythologizing. It’s a great tune. And it’s one of those tunes in every band’s catalogue that wasn’t a hit upon release that becomes a mainstay and favorite among fans as the years go by. The Great Lost Kinks Album was never meant to see the light of day. It consisted of outtakes from 1966-1970 after the band moved from Reprise to RCA which Reprise released to get every dime that could out of the band. Ray had always wanted them to remain as unreleased, which is odd as there is some really good stuff on the album. This Man He Weeps Tonight is a bit more upbeat than the song title suggests, but it moves along at a brisk pace and suggests that Dave might not be that happy a guy really. In the early 1980s after a decade of drought, Dave’s songs started showing up on Kinks albums again. Perhaps in response to his solo career that had started a few years earlier? 1984’s Word Of Mouth had two songs, one being the rousing Living On A Thin Line. In many ways it reminds me of the “whatever became of our England” songs of Ray but again there is a slight difference. It’s also interesting that when the Kinks, guided by Ray, were doing R&B, Dave’s songs were R&B. When the Kinks went more reflective then Dave went reflective. When they became power pop in the 1980s then Dave, well, you get the point. It’s difficult to really look at Dave’s career without working comments about Ray in. It just is. Imaginations Real is from Dave’s first solo album AFL1-3603 in 1980. It’s very reflective of the time, a sort of melancholy heart on your sleeve pop song. But it’s a good one. Love Gets You from his third solo album Chosen People could be described much the same. But they are good songs even if reflective of a not-so-great genre – that being 1980s pop – that make you wish Dave had written more. Unfortunately, Dave’s three solo albums in the 1980s charted, at least in the U.S., at 42, 152 and 202 respectively and you didn’t really see any new music from him until the late 1990s. Unfinished Business (1999) from the album of the same name is more what you’d expect from Dave. A little less lush, a lot more rocking with good guitar hooks. The album itself is a great primer for Dave’s work as it included a couple of new songs but really serves as a career retrospective. Flowers In The Rain from 2002’s Bug is as much of an out-an-out love song that Dave is capable of writing really, although it is a lament as opposed to a traditional ‘I love you’ kind of song. In 2004, the health problems got increasingly more severe and his production has slowed dramatically. Although he has recovered from that year’s stroke with his playing showing no real lingering effects. Since then he has released a couple albums with his sun Russ. Open Road, from the album of the same name once again, finishes off my list and is a nice mix of Russ’ more new age sort of style with an old style rocker of his dad’s time. I hope Russ and Dave keep working together as their 2017 effort was much better than their previous one in 2010. Has Russ matured as a musician? Had Dave’s health improved? Who knows, but they certainly seemed to work well together at this point. It’s hard to read Dave’s Autobiography from a decade back and not wonder how his big brother tolerated such a self absorbed whiney jerk for decades. But then it’s also quite obvious having Ray as a big brother stifled Dave’s creativity quite a bit over the decades. I suppose it doesn’t matter as Dave has produced a lot of great songs, and could have very well produced a lot more if he had the opportunity. Or was he one of those guys who had a great song or two a year in him and would have flamed out with album after album of awful filler around a good single or two? Not for me to decide here. I just wanted to make a list. 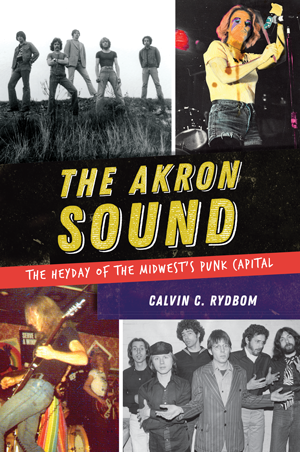 Calvin Rydbom’s latest book is “The Akron Sound: The Heyday Of The Midwest’s Punk Capital” published this year by The History Press. He is the vice-president and archivist of the “Akron Sound” Museum and vice-president of freelance archiving firm Pursue Posterity. He has published a number of music-related articles and was elected to the Society of American Archivists steering committee on recorded sound before being promoted to website liaison. Some of Calvin’s other toppermosts are on the Dead Boys, Rubber City Rebels and Tin Huey all from Ohio. He has also written about many non-Ohio acts for this website including Nanci Griffith, Charles Mingus, the Kinks and Ray Davies.